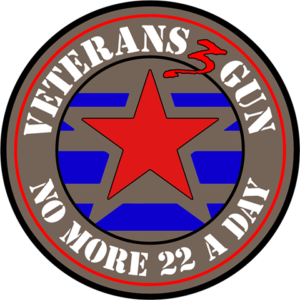 Throughout the event there will be active and static displays of WWII era equipment, vehicles and memorabilia reminiscent of the D-Day time period. 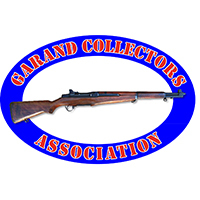 CMP welcomes competitors to attend the matches in period uniforms and bring historic items for display. 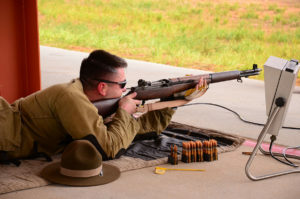 In 2019, we will have the following events on Thursday, June 6th: Competitor Check-In, M1 Maintenance Clinic, GSM New Shooter Clinic w/live fire practice, Open Practice for D-Day Competitors Only and a Special D-Day Ceremony w/refreshments (more details to come). 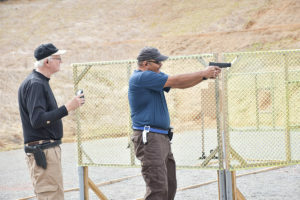 Garand/Springfield/Vintage Military Rifle Match, 1911 As-Issued Pistol Match and a Military & Police Pistol Match are just a few of the events featured during the weekend. 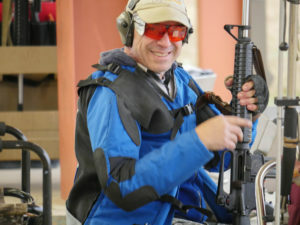 There will also be a M1 Maintenance Clinic as well as a GSM New Shooter Clinic with live fire. 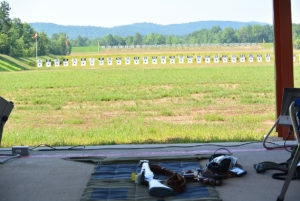 For shotgun enthusiasts, a sporting clay field and 5-stand field is also open for use at Talladega Marksmanship Park. 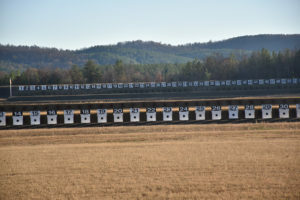 The 500-acre CMP Talladega Marksmanship Park is one of the most advanced outdoor facilities in the world. 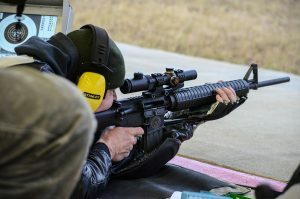 Boasting the latest technological advances in the realm of marksmanship, it is a must-see destination for firearm supporters across the country. 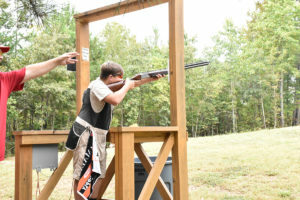 The park is open to the public, year round, offering many opportunities to marksmen of all ages. 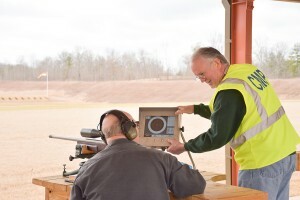 The facility includes a 600-yard rifle range, a 100-yard multi-purpose range and a 50-yard pistol range, equipped with Kongsberg electronic targets and scoring monitors that allow shooters on the firing line to review shots in a matter of seconds. 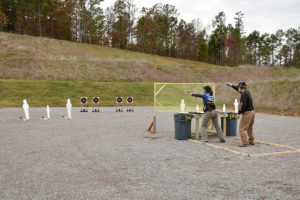 Since the intricate targets have the ability to be reused, there is no pit duty required at Talladega. 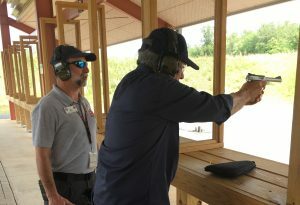 Talladega Marksmanship Park also contains 15 action pistol bays and a trap field with a 5-stand overlay and a 15-station sporting clay field with automated trap machines. 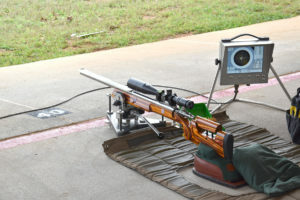 Competitors unable to transport their equipment through the hilly terrain of Talladega Marksmanship Park will be provided with transportation to and from ranges. 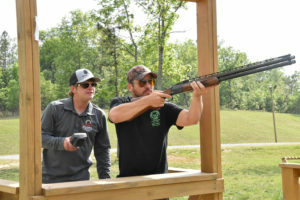 Read More about the 2nd Annual Talladega D-Day Match! 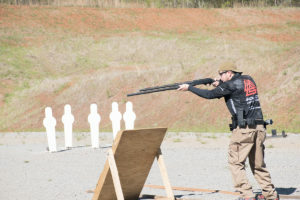 While CMP policy prohibits endorsement of any company product or service, we would like to recognize the following companies that will award their own separate products to the top shooters of the 2019 D-Day Match.